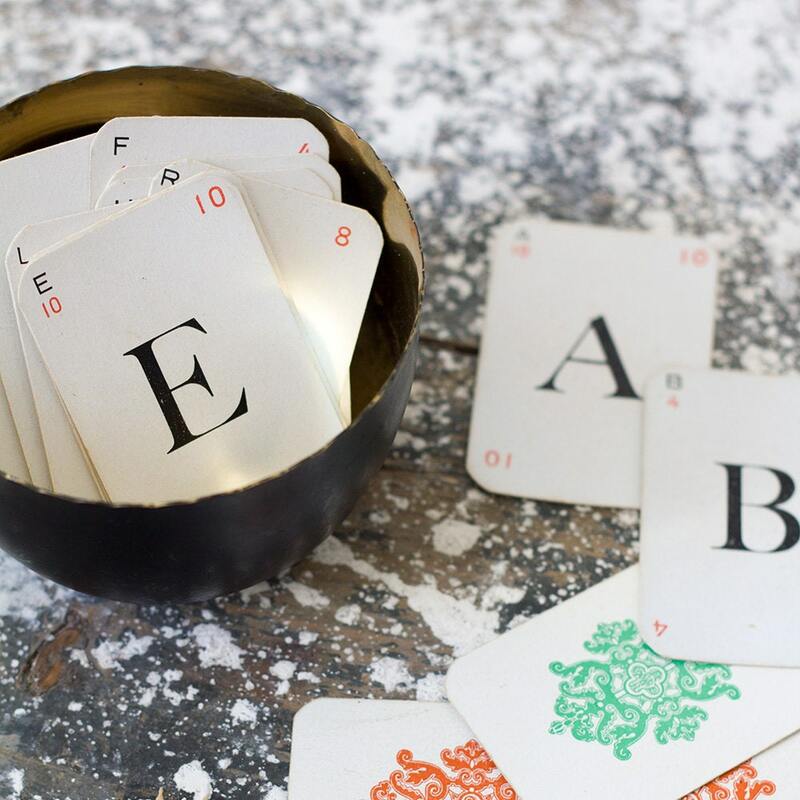 Wonderful little French playing cards with letters in classic serif typeface. Perfect so framing and spelling out names! Listing is for one card, please compose from the drop-down list. Please check available quantities below. These pieces wear their history like all vintage pieces which only adds to their story. These cards have light wear from use and some have slight creases across the centers.